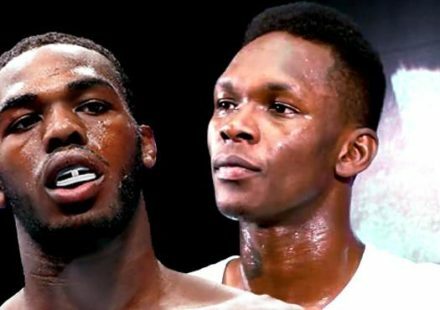 There are many variables to consider when determining Knockout of the Year: significance of the win, the technical aspect involved, the sheer aesthetics of it, and many others. 2013 became the year of the spinning heel kick knockout. The Ultimate Fighter 17 finalist Uriah Hall logged the most devastating knockout in the reality show’s history with his spinning heel kick KO of Adam Cella during the elimination round of the season. Vitor Belfort replicated the same move at UFC on FX 8, knocking out former Strikeforce champion Luke Rockhold. 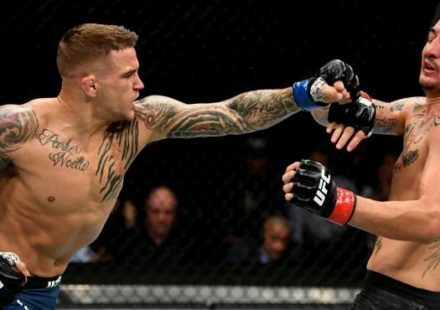 He followed up that performance by knocking out Dan Henderson for the first time in Henderson’s 17-year fighting career at UFC Fight Night 32. Former heavyweight champion Junior dos Santos employed a spinning heel kick to finish the durable Mark Hunt at UFC 160. There were many significant knockouts in 2013. Antonio “Big Foot” Silva’s come-from-behind KO of Alistair Overeem at UFC 156 stands out. Mark Hunt shattering Stefan Struve’s jaw at UFC on Fuel TV 8 was particularly brutal. Travis Browne’s three fights in 2013 all ended in devastating fashion. He finished Gabriel Gonzaga with elbow strikes along the cage at The Ultimate Fighter 17 Finale. 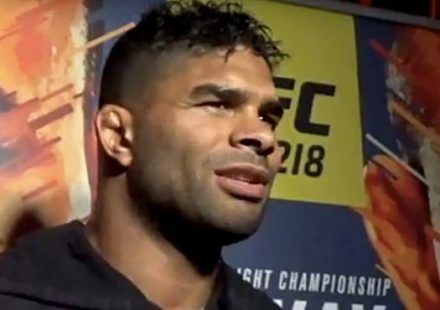 He took out Overeem with a front kick and follow-up punches at UFC Fight Night 26, and proved the mode in which he dispatched of Gonzaga was no fluke by employing the same method to put Josh Barnett to sleep at UFC 168. Flyweight champion Demetrious Johnson’s first-round KO of Joseph Benavidez was unpredictable. Emmanuel Newton’s spinning back fist finish of “King Mo” Lawal at Bellator 90 was shocking. Mauricio “Shogun” Rua’s first round knockout of James Te Huna at UFC Fight Night 33 showed the legend has more fight in him. While all those knockouts were worthy to note, one stands out above the rest. 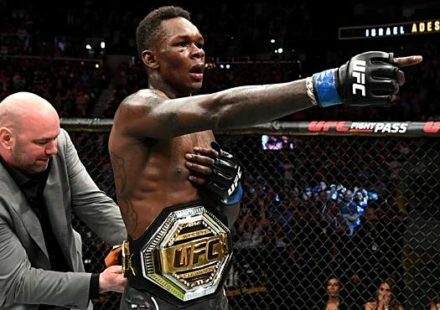 When Chris Weidman stepped into the Octagon with Anderson Silva at UFC 162 on July 6, no one expected what was going to transpire. Silva was untouchable. He was and still is the greatest champion to ever step foot in the octagon, hexagon, ring, or the Yamma Pit. Weidman was confident leading up to the bout, but it did little to sway popular opinion that he was outmatched. He was coming off a long layoff due to shoulder surgery. He had gone through the personal turmoil of Hurricane Sandy. The odds were stacked against him, but some people are born to defy the odds. Silva employed his usual tactics of taunting to bait his opponents into a striking exchange, and it worked. Weidman abandoned his game plan of getting the fight to the ground and pressed the pace. The anticipation mounted and there was the feeling inside the MGM Grand Garden Arena that something big was about to happen. 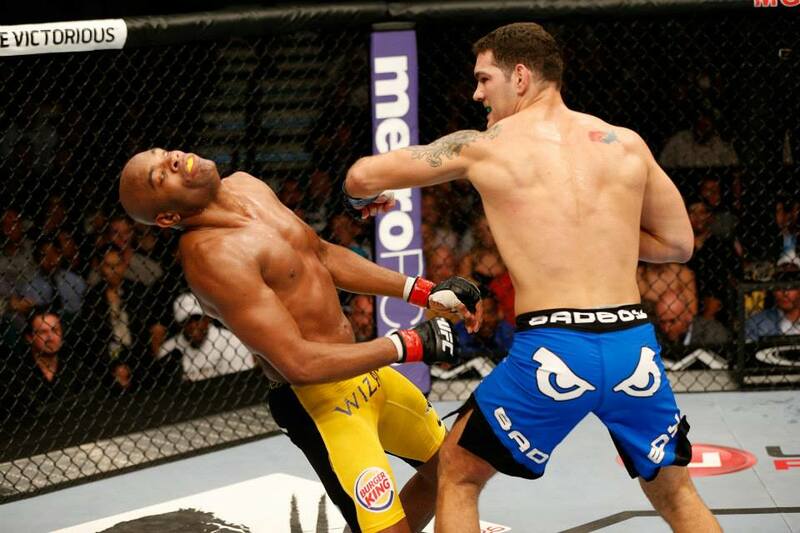 Early in the second round, Weidman landed a left hand and Silva pretended to be hurt. Weidman seized the moment and moved in with a three-punch combination. Silva bobbed and weaved his way around the first two, but was unable to avoid the third. It landed flush on the chin and Silva’s body, as well as his seven-year dominance of the middleweight division, came crashing down. It was significant. It was shocking. It was memorable. And it is MMAWeekly.com’s 2013 Knockout of the Year.